oatmeal lace design: happy 95th birthday, mamama! today is mamama's 95th birthday. saturday we were lucky enough to celebrate with her and our extended family over in winter park. for those of you who didn't know, she's the inspiration behind my company. mamama's two sisters were also in attendance. aren't they the cutest trio? 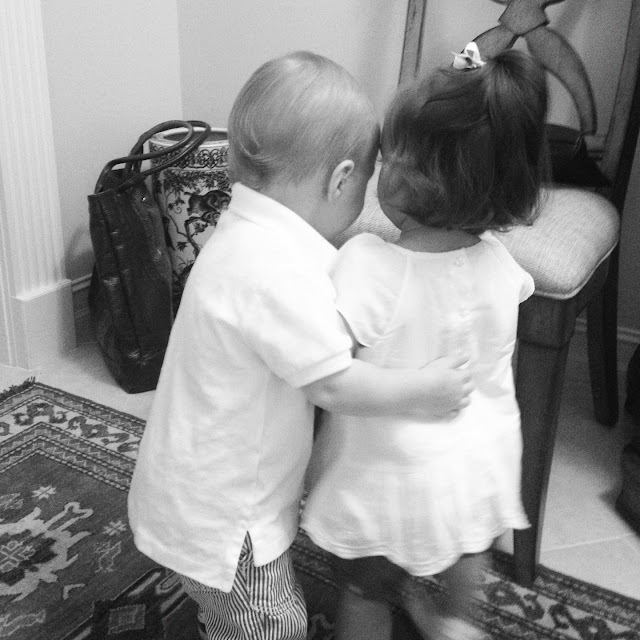 beckett got to meet his cousins and was quite taken with ella (see below). it was such a great day and I'm so thankful we live close enough that we were able to spend time with her on this momentous occasion. a big thank you goes out to aunt sandra (on the right) for hosting such a great party.